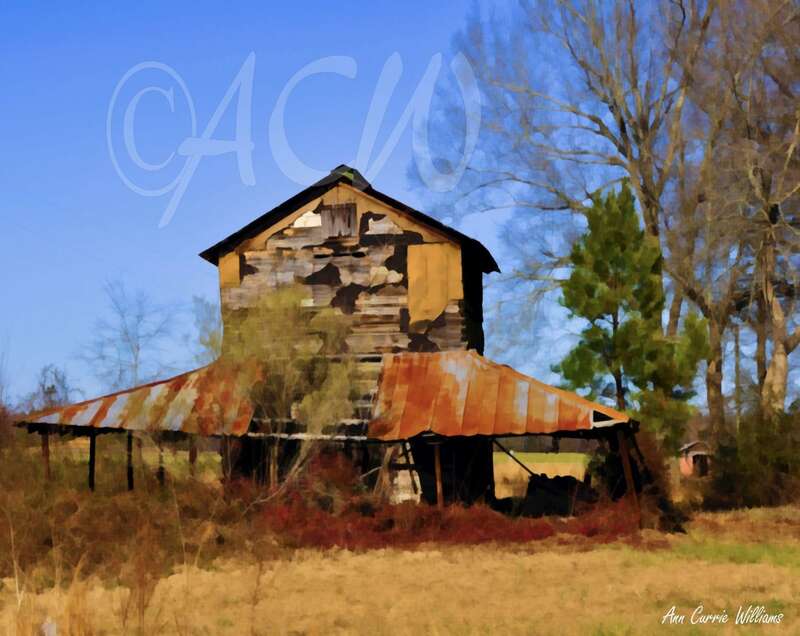 An old Tobacco Barn in the Pee Dee region in South Carolina. Few of these barns are left from the hey day of Tobacco growing in the area. An original image based on a photograph.